In the final part of this series, we highlight the achievements of these formidable women lawyers have made their mark in the industry. Genevieve López-Stipes wanted to be a lawyer working for and in the financial industry for as long as she can remember. Growing up in a family of bankers, businessmen, and lawyers, she always knew that was her final goal. Since graduating from law school, López-Stipes has represented financial institutions and fulfilled the different aspects of their legal needs, from commercial lending to foreclosures. In 2008, she decided to embark on the project of opening her own law firm, GLS Legal Services, LLC, a minority-based firm composed mainly of hispanic employees and female attorneys. Even though the economic climate in Puerto Rico has not been favorable, the law firm has been able to thrive through the years. 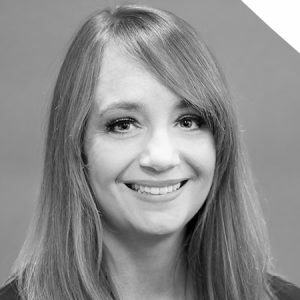 Despite this being a male-dominated industry, she understood that whenever the opportunity presented itself, she had to make a lasting positive impact by always looking to provide fast and efficient solutions to her clients’ needs. “This is a very demanding and time-consuming industry. When mentoring employees, I am always looking out for ways to help them improve their know-how in dealing with the clients’ needs and balancing a personal life as well. To be prosperous, it’s important to create harmony between your personal life and your career.” She has been successful in her objective of creating a team that welcomes new challenges and likes to be hands-on in every type of situation that may arise while using the most practical and business-oriented methods available. Sarah K. McCaffery has been with Richard M. Squire and Associates for two years, but her love of the law can be traced back to her watching a family friend graduate from law school when she was six years old. Today, McCaffery enjoys building relationships with clients. “Assisting them in various facets of the legal process is the most enriching part of the job for me,” McCaffery said. Since taking over the firm’s bankruptcy department more than a year ago, McCaffery has seen the department’s volume nearly double. Clients make sure to refer McCaffery and her team because they know she will work diligently for them, no matter what challenges the market may present. “We have a responsibility to provide up-to-the-minute recommendations to allow lenders and servicers to determine their most efficient and judicious use of resources in this ever-changing market,” McCaffery said. According to McCaffery, as defaults continue to decline, legal professionals working in the mortgage sphere will need to be on top of their game to succeed. 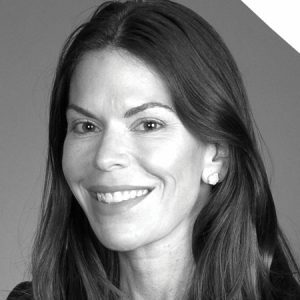 To face the challenges of her industry, McCaffery focuses on drawing from her unique experiences and perspective to think outside the box. “With increasing volume, it is of the utmost importance for us to be as efficient as possible in providing our clients with top-notch service,” McCaffery noted. Jennifer A. Needs realized a childhood dream the day she became a lawyer. Someone who has always seen lawyers as problem-solvers, Needs did not initially expect to specialize in creditors’ rights. Today, however, she enjoys this practice, and she takes pride and great satisfaction in her unique ability to drive cases to resolution. “Settlements allow me to fashion unique and creative solutions that best serve the interests of my clients,” she said. Looking back at her early years of practice, Needs recalls that opponents routinely undertook whatever actions they perceived would gain them an advantage. “Unfortunately, this sometimes included attacks based on gender and age,” Needs said. “Thankfully, as the years pass, and as our society increasingly condemns gender- and age-based discrimination, I see this decreasing.” After working diligently in this industry and helping her firm grow, Needs is thrilled to take on the role of a managing partner in 2019. “I had the good fortune of working for attorneys who took the time to teach me that law is not only a profession but also a business. 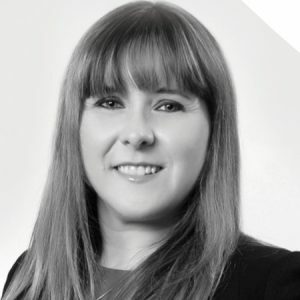 In order to best serve clients, it is necessary to have a strong business structure undergirding the firm and its personnel,” Needs said, and that is precisely how she will approach her new role with the firm. 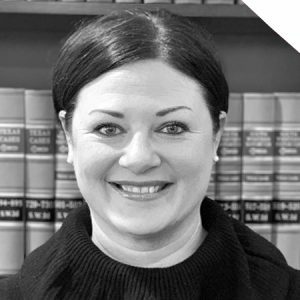 As someone who believes in changing with the times, Needs focuses on remaining updated on current legal developments and mentoring her colleagues and staff to grow as the law continues to evolve. For Alison Orlans, assuming the role of President and CEO of Orlans PC is not just a professional accomplishment, it’s a personal one as well. “My mom started our firm 20 years ago with a vision to help people and make a difference in the industry. She built a firm of the future, and I am proud to carry on her vision for the next 20 years,” Orlans said. Under Orlans’ leadership, the firm is driving transformational change in the legal industry. She led the merger of three law firms to create one organization that offers clients multi-state services. 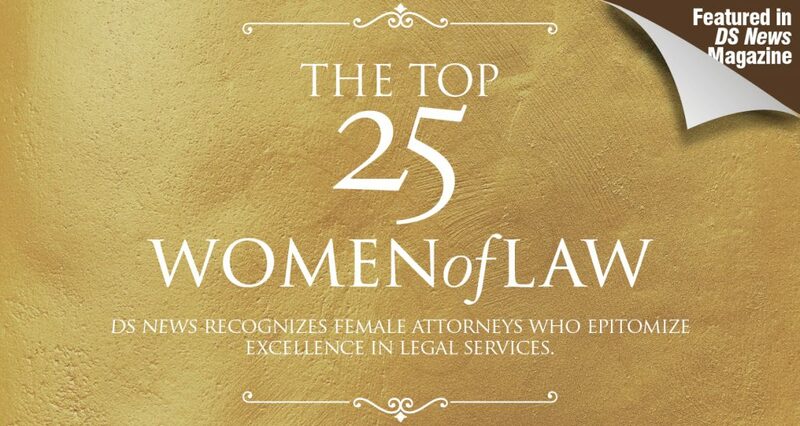 When she looks back over her 15 years practicing law, Orlans is proud to have evolved her firm’s culture to be an award-winning top workplace. 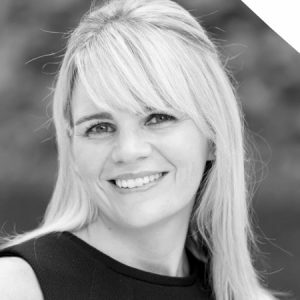 She has been instrumental in expanding the firm’s use of innovative technology and lean processes to help improve client service. She has also built an incredible team that puts clients first. “I believe, at our core, that we make a difference in our industry, communities, and for our clients,” Orlans shared. The attorneys at Orlans PC are committed to succeeding in a highly regulated and complex business and are laser-focused on evolving the firm to remain best-in-class for its clients and for the future. Orlans said they are doing this through deep investment in process and technology, including value-stream mapping, enhancements to the firm’s case-management system, and implementing artificial intelligence software. This strategy also includes an emphasis on employee engagement, training, and leadership development programs. 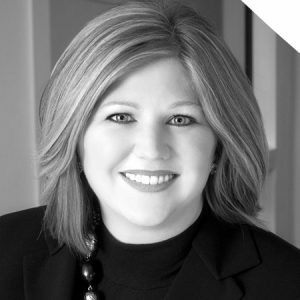 With more than a decade of experience under her belt, Wendy Reiss brings leadership and ingenuity to McCalla Raymer Leibert Pierce, as well as a way of thinking that never allows a dead end. Reiss proves that creativity and industriousness are two of the greatest tools of the best legal minds. “My clients are met with new and unique legal and operational challenges on a daily basis. Our job, as legal partners, is to do better than helping them navigate those obstacles; our job is to show them how to turn those obstacles into opportunities,” Reiss said. It was this inclination and her unique ability to see the problem beyond the problem that first led Reiss to the study of law. “I chose to study law to learn how to take a problem apart and put it back together again, better than it was when you found it, to use my voice to problem-solve, and to debate! There’s nothing better than a great debate,” Reiss quipped. 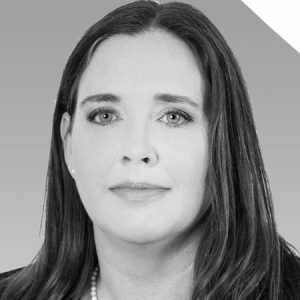 She counsels her lenders and servicers that the key to their success in the year ahead will be to centralize functions by managing fewer legal professionals and leveraging assistance from law firms with cutting-edge technology and reporting capabilities. 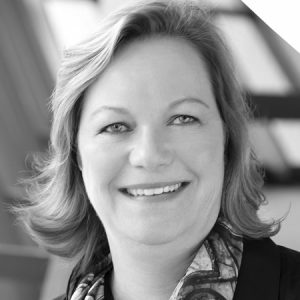 “Legal professionals act as true partners by implementing creative problem-solving solutions to legal requirements that affect larger-scale business operations,” Reiss shared. To Reiss, the best part of her job is being a part of the professional and personal development of her team. “It’s an absolute honor,” Reiss said. 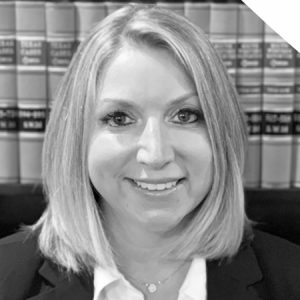 Abbey Ulsh Dreher is a Partner at Barrett Daffin Frappier Turner & Engel, which, along with Barrett Daffin Frappier Treder & Weiss and Barrett Frappier & Weisserman, is collectively referred to as the BDF Law Group. “I have spent my entire legal career with Barrett Daffin and have worked through the ranks from Associate Attorney to Supervising Attorney to Managing Attorney and now Partner. I’m blessed to work with a great group of folks who have taught me well over the years and who have rewarded my growth along the way,” Ulsh Dreher shared. Throughout her career, Ulsh Dreher has navigated being a leading female in what is often a male-dominated field. “It’s often daunting to be the only female in a courtroom, meeting, or conference. I think females have to work harder to prove they are knowledgeable on the subject matter in order for their male counterparts to take their opinions seriously,” she said. Now that she has worked her way up to partner, Ulsh Dreher is helping to develop the next wave of talented attorneys—both male and female. ”I love to see both staff and young attorneys grow in their positions within the firm. I enjoy working with them to help them through a difficult file as well as helping them learn new processes overall,” Ulsh Dreher told DS News. BDF Law Group is constantly working to improve its technological ability to provide better, more efficient legal services to clients. Ulsh Dreher is regularly involved in working to develop and improve those technologies. “Dynamic” is how Connie J. Vandergriff describes the legal profession, a career in which she has excelled for 13 years. “A legal career afforded me challenges that other professions did not offer. It is a continuously evolving field with a variety of options,” she said. One of these challenges involves making sure her staff is up-to-date with the nuances of the mortgage market. “I believe education and training are the most important things you can provide your employees. A collaborative environment creates a forum for multiple solutions for complex issues and problems,” Vandergriff shared. Vandergriff offers the same oversight to her clients by conducting training to keep them apprised of new legal requirements—whether legislative, regulatory, or court specific. A career highlight for Vandergriff was being named partner of Barrett Daffin Frappier Turner & Engel, which allows her to grow in all the aspects of the legal profession that she loves. “Tackling a complex problem and reaching a resolution that is satisfactory to all parties is the most enriching part of my job. I also enjoy mentoring our younger attorneys and watching them progress in their careers,” Vandergriff said. Barrett Daffin Frappier Turner & Engel, Barrett Daffin Frappier Treder & Weiss, and Barrett Frappier & Weisserman are collectively referred to as the BDF Law Group and have a mission to provide the highest standard of ethical, compliant, and transparent default legal services. Vandergriff is proud to uphold this standard.